The HDR-SR12 delivers all you need to shoot stunning Complete HD 1920 x 1080 resolution video clip and 10.2 megapixel nevertheless images. With Crossbreed recording technology, you are able to record to either an interior 120GB hard disk drive or even removable Memory Stick Pair or Memory Stick PRO Pair media. A professional-quality Carl Zeiss Vario-Sonnar T* zoom lens and ClearVid CMOS sensor (along with Exmor technology) and BIONZ picture processor let you catch every detail in video but still images. Additionally, Encounter Detection t….. The The new sony Handycam camcorder HDR-SR11 with Encounter Detection technology catches faces clearly so that your videos and pictures are recorded much more beautifully. The ClearVid CMOS Sensing unit (with Exmor technology) as well as BIONZ image processor offers extremely detailed Complete HD 1920 x 1080 resolution video11, as well as stunning 10.2 megapixel nevertheless images, with lengthy battery life. Super SteadyShot optical picture stabilization system decreases blur even when while using 12x optical/150x digital zoom. Moreover, Crossbreed recording …. Report and store as much as 60 hours of 1920x1080p Complete HD video as well as thousands of 8.9MP photos using the HDRXR260V Handycam camcorder. Optical SteadyShot image leveling with Active Setting minimizes camera shake as well as blur, even when utilizing 55x Extended Digital Zoom. Benefit from the advantage of superb reduced light shooting along with Sonys Exmor R CMOS sensor. 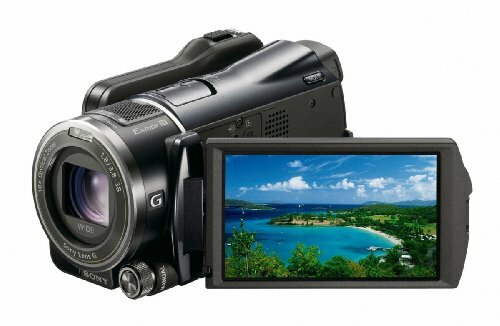 1920×1080 Complete HD 60p Recording w/8.9MP nevertheless image capture The actual Sony HDRXR260V offers 1920 x 1080 hd resolution letting you report your memori….. Shoot stunningly-smooth HD video clip and project up to an amazing 100 in .. Featuring Full High definition 24p/60p recording with 9.2MP photos, your shots appears incredible even while capturing on the move-Balanced Optical Steady Chance image stabilization retains everything looking razor-sharp. Better yet, you can move pics and movies or change configurations over Wi-Fi with National football conference in one touch…..